He considered his year-end award a surprise, but with the way he played in his rookie big-league season, it was hardly a shock to see Jonathan Huberdeau skate away with the hardware. Huberdeau, the third overall selection in the 2011 NHL Entry Draft, didn’t waste much time in making his Florida Panthers’ teammates, opposition and the hockey world take notice of his presence. On January 19, 2013, in a game against the Carolina Hurricanes, Huberdeau, then just 19 years old, recorded his first NHL goal, along with two assists. The milestone moment came on his second shift and first shot on net. The decision to either keep Huberdeau with the Panthers or return him to the Quebec Major Junior Hockey League ranks was a no-brainer for Florida brass. By season’s end, the centreman had 14 goals and 17 assists for 31 points. He then faced-off against two other talented first-year forwards for top rookie honours, Montreal’s Brendan Gallgaher and Chicago’s Brandon Saad. All three were worthy of winning. But it was a humbled Huberdeau who heard his name called. 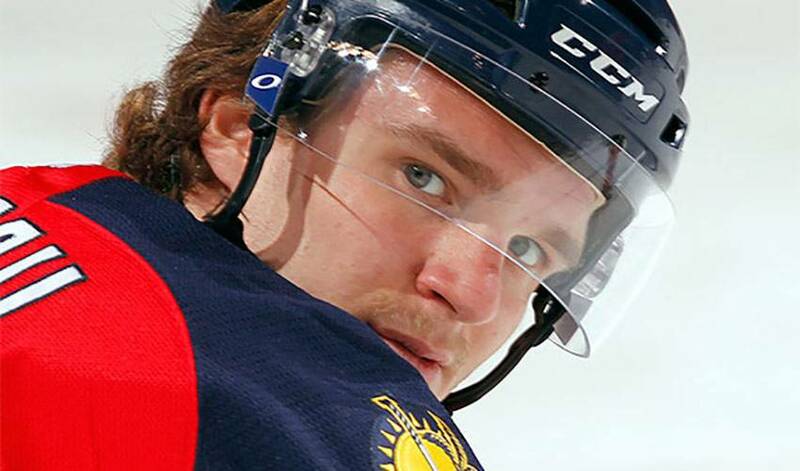 The Panthers, who missed out on the playoffs in 2013-14, will rely heavily on Huberdeau. His playmaking abilities and precision shooting will go a long way in determining Florida’s fortunes, short-term and beyond. Huberdeau had no problem with a heavy workload and high expectations in his first campaign, relishing the chance to be on the ice at critical times. He’s hoping for even better fortunes this season, primarily, in helping the Panthers return to the form that saw them win a division title in 2011-12. Huberdeau also had to contend with the injury bug. He had hip surgery on May 14, but isn’t letting the time off dampen his enthusiasm for his upcoming sophomore season. It’s something one of the game’s rising young stars knows a thing or two about.